Eighteen-year-old Ada Vaughan has just started work for a modiste in Dover Street. She would love a career in couture but first needs to escape the dreariness of family life in Lambeth. When she meets a man called Stanislaus von Lieben, she is catapulted into a world of glamour and romance. So, when he suggests a trip to Paris, despite the rumblings of war, she overlooks all possible dangers to take a chance. When war is declared, both she and Stanislaus are trapped in France. But then she is cruelly betrayed and her world falls apart. These are not easy times for anyone but when Ada is taken prisoner, it will take her ultimate resolve and skills as a dressmaker to try and survive in the best way she can. Written against a real historical background of the outbreak of war in Europe, this is a tale of one woman’s resilience despite tragedy. Ada leads a sad and uneventful life in Lambeth, London and so wants to escape her life. Ada became her designs, a walking advertisement for them. Working for the modiste in Dover street, the craves the life she feels she can’t have. 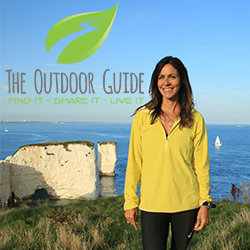 she might feel out of her depth in the Savoy and the Ritz where the young ladies who buy the clothes she models and then makes, but this is the life she desires. She conjured Hollywood and the glamourous world of the stars and brought them into the drawing rooms of the everyday. Stanislaus is a breath of fresh air amongst the otherwise stiff fabric of her life.They go to Richmond Park and eat chestnuts on a cold winters day, and drink ginger beer. But then he tells her ‘You belong in Paris, I can see you there, sashaying down the boulevards turning heads’. From Charing Cross, off she goes and arrives at the teaming Gare Du Nord full of ‘sweating turmoil’ . Still unsure of Stanislaus and the future, this is a way out and a way ahead. When Hitler invades Poland everything changes. They move apartments in Paris and end up on the Rue Barbes. Stockpiles of sand bags line the streets and the ‘stale onion of fear’ permeates the Paris air. They flee to Mons in Belgium and then Namur and then tragedy strikes…. Alone and afraid, Ada ends up in Dachau and works, quite literarily to save her life. “They call you the Dressmaker of Dachau’ says one German guard. She is used and abused but yet her spirit never dies. It is the next stage of her journey where she will find out her fate and if she will ever hear of Stanislaus again. A book which was both fascinating and allowed the tension and the horror of Dachau to build with the interesting build up and back story of Ada and Stanislaus and their flight across Europe. Having got to know Ada quite well, (Stanislaus was more of an enigma for reasons which become clear in the story), I felt as if I went with her on her journey despite wanting to whisper in her ear and check if she knew what she was doing! 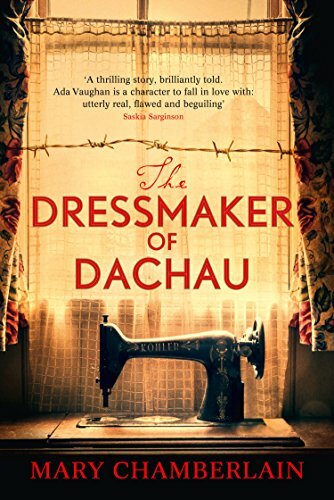 Dachau is a major setting in the book but it is also the culmination of Ada’s journey across several countries during war time and her journey as a woman with a skill and desire to sew. To use a sewing analogy, lots of threads come together and weave a tale of heartache and shocking twists! And I won’t reveal what happens to Stanislaus but…..
An enticing read and a insight into the brutality of Dachau and how one woman with a skill for sewing could survive there.